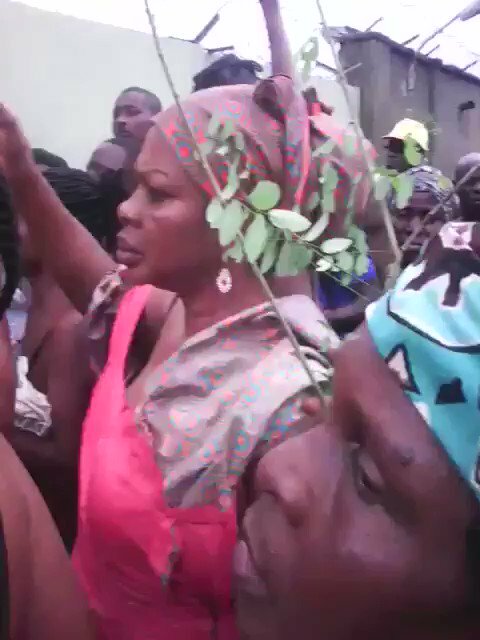 A popular House of Reps member has been captured on camera as he leads half n*de women to protest rigging of Lagos Local government election against his Accord Party. 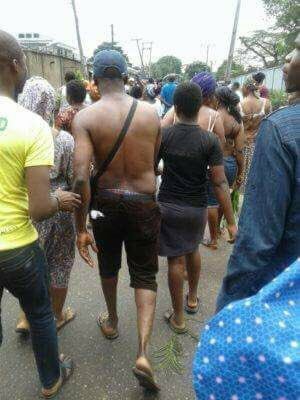 A member of the Federal House of Representatives, Kako Are, representing Mushin Federal Constituency 1, on Wednesday, led some half n*ked women to protest what they termed the 'mass rigging of Lagos Local government election' against his party, Accord Party. The ruling All Progressive Congress (APC) had reportedly clinched most of the seats in the election which recorded a low turnout due to the heavy downpour last Saturday in Lagos state.